Loftas Fest is just around the corner with over two days of music and more. Treating attendees to 5 music stages, art performances, theatre acts, and much more by Lithuanian and international artists. 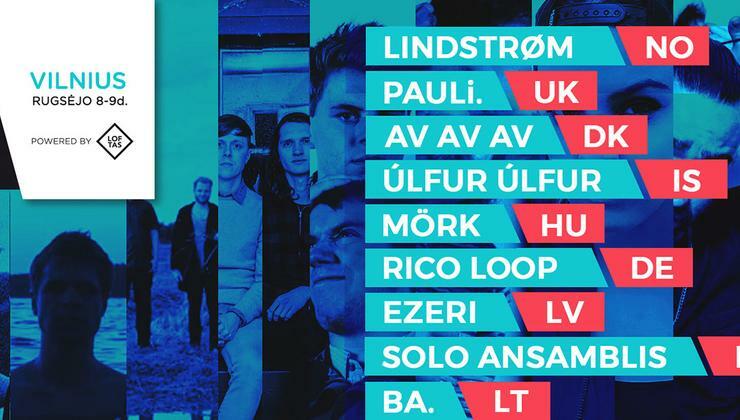 Loftas music and art festival will present a number of venues at this year’s event with the Loftas, Burn Techno, What’s Next in Music, Europavox and Open Gallery music stages in the area. For the second time, Europavox will be hosting a stage from 8-9 September 2017, which will be part of the free admission zone and features acts like Ba. Noiserv, Av Av Av, and more. Other acts performing over the Weekend include Úlfur Úlfur, vonKuusk, Lake, Ezeri, Mork and Solo Ensemble. There is more to discover than music too, as fashion and art are also a key fixture of the event. There is a night fashion fair which is called “Uptown Market: Midnight Shopping” and it’s free. At the market, you will find stalls for vinyl and other music formats. If you find that a new look is needed to go with the new wardrobe and music, there will also be hair and beauty professionals on hand with the option of having a tipple or two at the bar. Check out some of the Europavox artists performing below in our picks and playlist.